The Gisela 49 in. 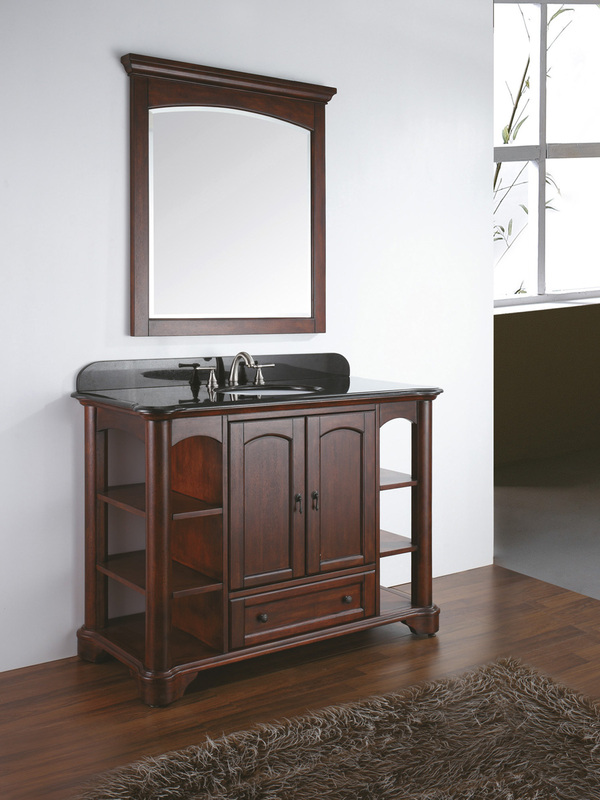 vanity is traditional and transitional in design with a rich Mahogany finish and antique brass hardware. The stately columns and arched accents can compliment any bathroom. 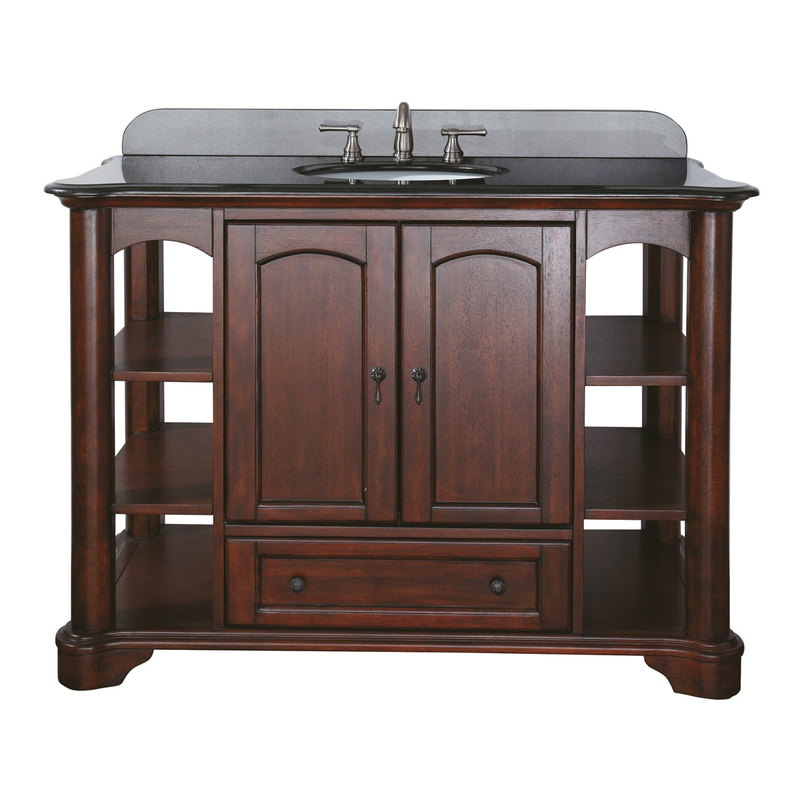 This vanity offers plenty storage with a soft close bottom drawer, two soft close doors and open side shelves. 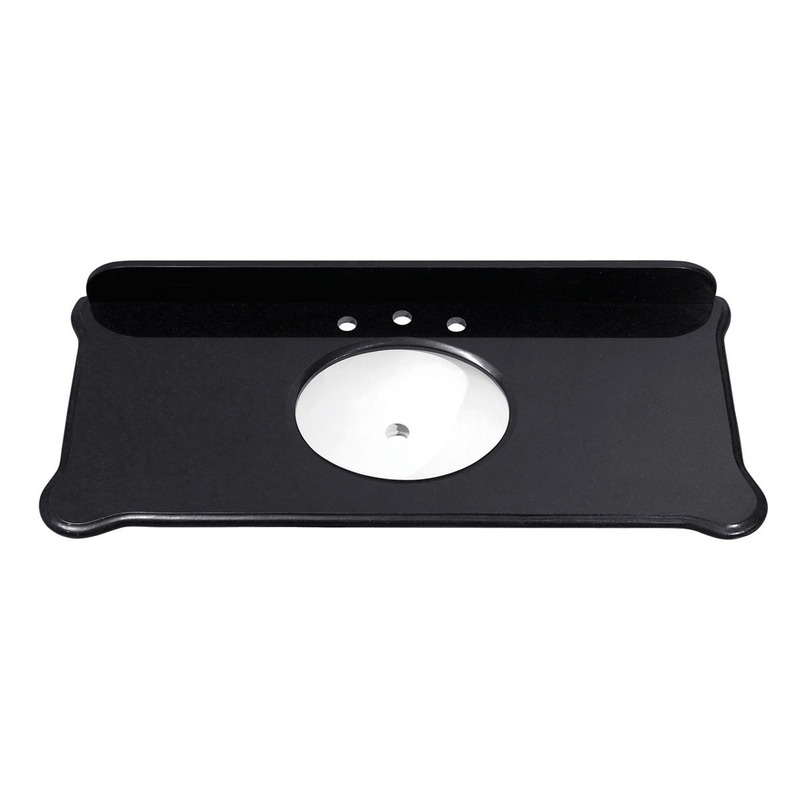 The vanity combo includes a black granite top and undermount sink. 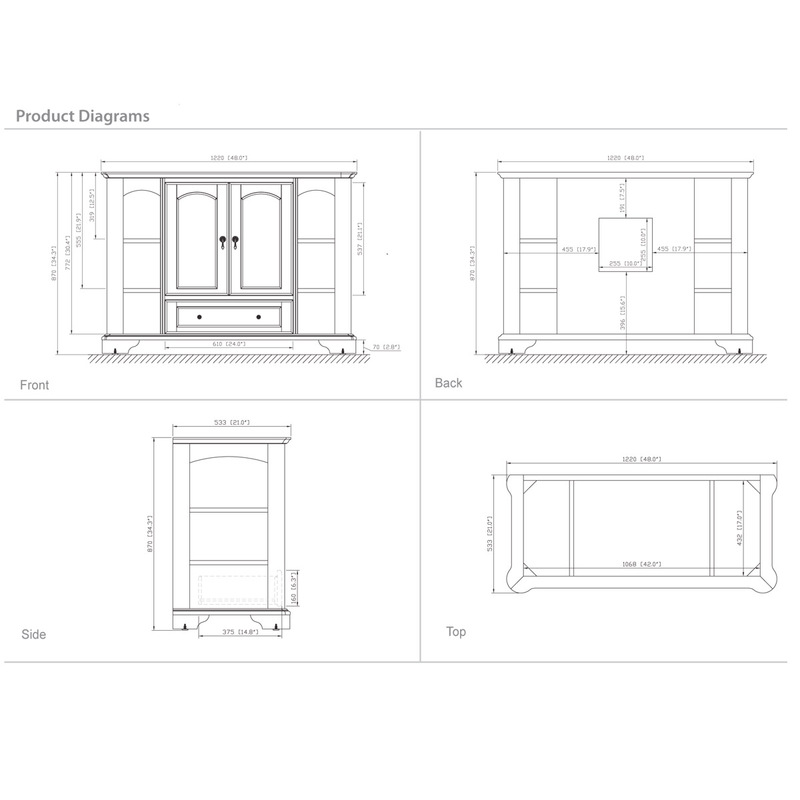 Coordinating beveled mirror with arched detailing to complete the decor. 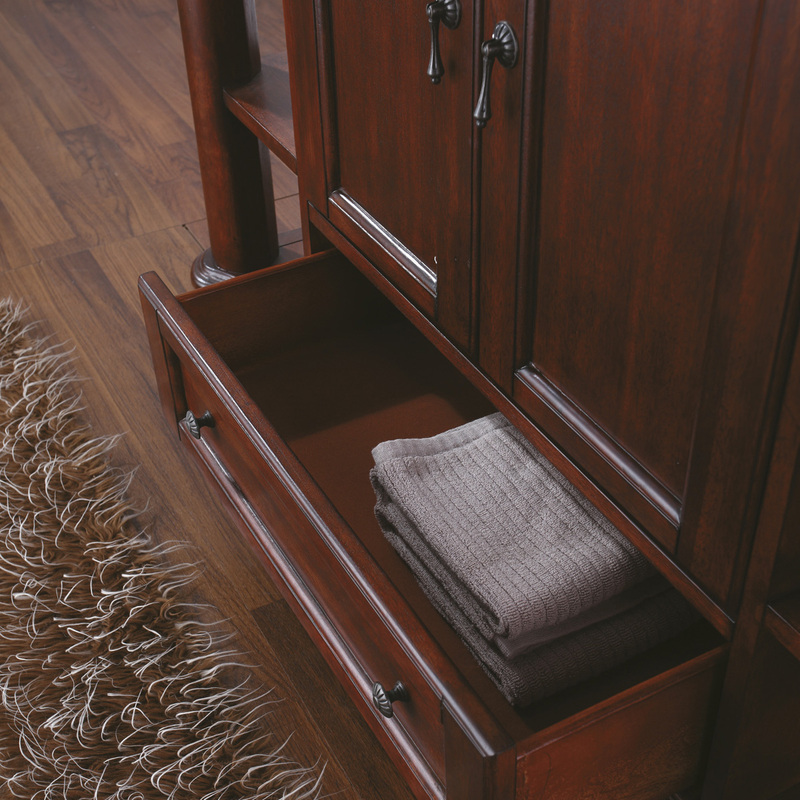 Bottom pull-out drawer is great for towels!